Ben, Maddie and Ryn (Alex Roe, Fola Evans-Akingbola, Eline Powell) find it nearly impossible to keep the sudden arrival of the mermaid pack hidden from the townspeople in the new “The Wolf at the Door.” That task is complicated even further by how quickly the newcomers degrade on land, so they must somehow be sneaked back to the sea during a huge town event. Elaine (Sarah-Jane Redmond) grows more suspicious about how Helen (Rena Owen) may be connected to the Pownall family. 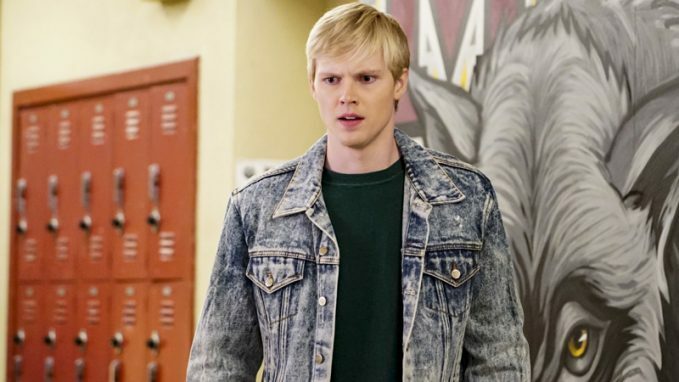 Sheldon (Iain Armitage) is used to getting pushed around every day, but after he forges an unlikely friendship with Tommy (guest star Ryan Cargill), his school’s biggest bully, he uses this new alliance to settle some scores with big brother Georgie (Montana Jordan) in the new episode “David, Goliath and a Yoo-Hoo From the Back.” Meanwhile, as school picture day arrives, Missy (Raegan Revord) steals Meemaw’s (Annie Potts) makeup to spruce up her “look.”. 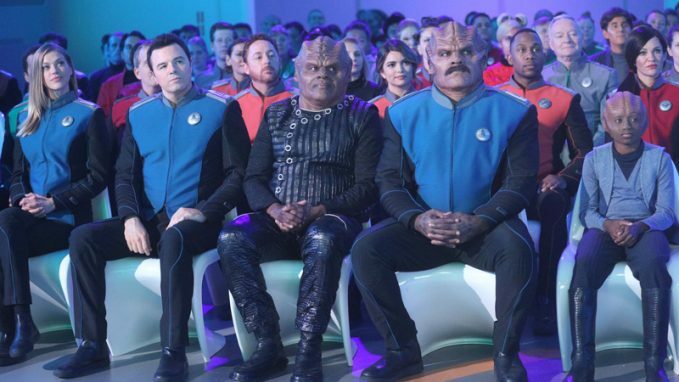 Claire’s (Penny Johnson Jerald) shipmates aboard the Orville share her happiness (however cautious) when her personal life unexpectedly takes an upswing in the new episode “A Happy Refrain.” Elsewhere, Gordon (Scott Grimes) makes a grooming suggestion to Bortus (Peter Macon) that’s decidedly unusual. Seth MacFarlane, Adrianne Palicki, Jessica Szohr and Halston Sage also star. The rebooted sitcom returns from its midseason hiatus with the new episode “Family Trip,” which finds Will, Karen and Jack (Eric McCormack, Megan Mullally, Sean Hayes) unwittingly ingesting a hallucinogenic drug, which sends the two guys into a psychedelic meditation on whether they are, in fact, each other’s soul mate. Elsewhere, Karen gives her final “performance” as Mrs. Stanley Walker. Meanwhile, Grace (Debra Messing) is shocked when her willful client (guest star Chelsea Handler) takes up with her sister, Janet (guest star Mary McCormack). In the new episode “Be the Martyr,” Nate (Billy Brown) sets out on a determined quest to confirm his suspicion about the real culprit in his father’s murder, while Bonnie (Liza Weil) is beset with a wave of self-doubt. Elsewhere, Annalise (Viola Davis) skillfully turns the tables on an adversary in the courtroom. 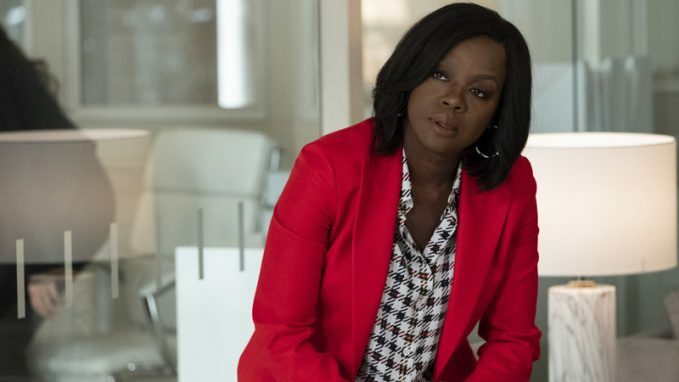 Melinda Page Hamilton guest stars; Jack Falahee and Aja Naomi King also star.